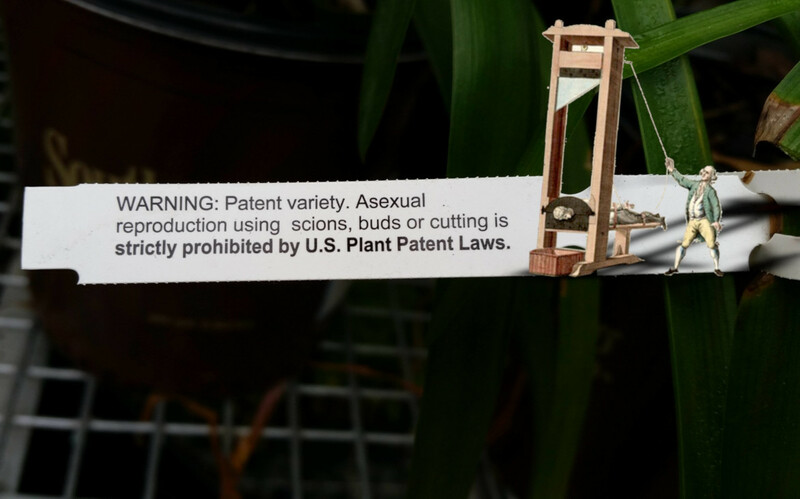 Houseplant patent EULA: "Asexual reproduction using scions, buds or cutting is strictly prohibited"
Not much detail on this patented houseplant and its terrifying license "agreement": redditor GooberMcNutly posted it a few hours ago and hasn't said anything else about it. Plants are patentable, and in theory patents reach into private conduct. Whatever the story, this is some primo late-stage capitalism right here.